At Dave’s Signs, our goal is to ensure all of our customers, from large multinational companies to a small business just opening the door, have a top experience in getting just the sign they want from our company. We also believe that we are a top office sign company and that we offer highly competitive pricing and top notch service, but that doesn’t mean that customers shouldn’t compare our service with the competition. To help you with this task, here are some important factors to consider if you are comparing office sign company services. While price is going to be a factor at some point, it is not the most effective starting point for comparison. Often those low prices offered by some companies mean low-quality service, limited customer support, and a sign that may not stand the test of time. On the other hand, choosing the more expensive company isn’t always a good measure of the quality of the sign and the work you can expect. In some cases, and with some types of signs, the price will also vary based on what the company is offering as part of the price. Be sure to get all information in writing for an estimate to make an accurate price comparison. While this may seem obvious, it is important to find out how much experience the office sign company actually has in sign development, manufacturing and installation. For some companies signs are a sideline or one component of what they do for customers. We are exclusively a sign company. 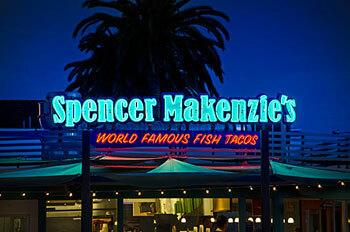 Our specializing is in taking the sign from an idea through to design, fabrication and installation. We can also continue to offer service and repair as needed and based on the type of sign selected. Our website is full of examples of the unique signs we have created throughout the areas of Ventura, Santa Barbara and Los Angeles. It isn’t hard to find our signs throughout these cities, and some are icons on businesses and locations that you will immediately recognize through our case studies and images on the blog and throughout the site. We would be happy to provide examples just like your application, and we encourage you to come in or call us and talk to our team. We want to take the time to make sure we have the sign just right, which is what we believe all customers want from a top office sign company.